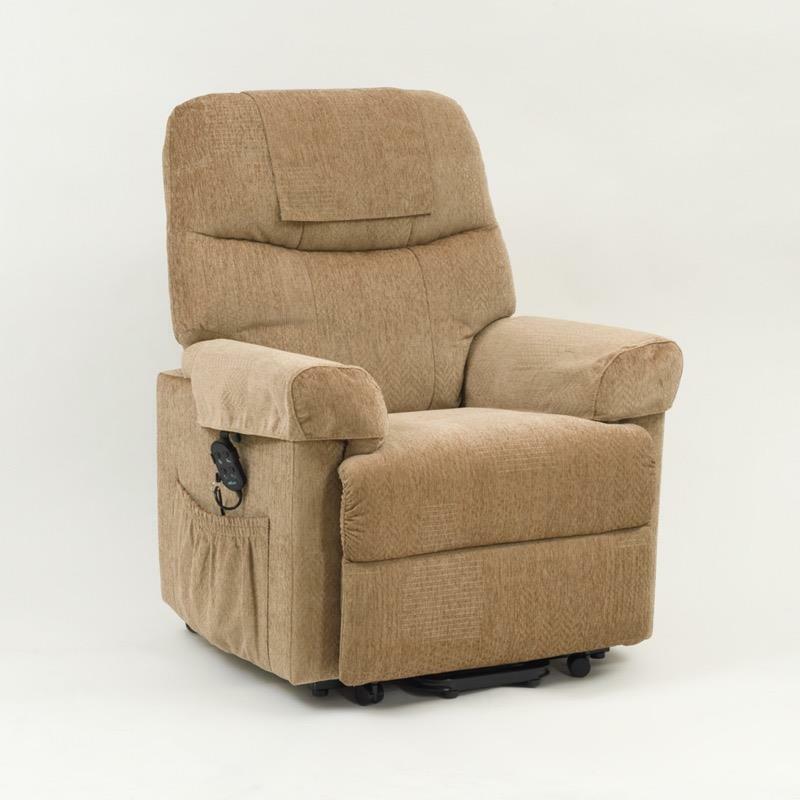 The Larz Single Motor Riser Recliner Chair features a distinct lift, rest and recline action as well as rising the user to their feet. The chair features an ergonomically contoured seat and back and padded upholstery for added comfort and support. A safety key is built into the hand controller to prevent accidental movement and entrapment. There is also a battery back-up system which enables the chair to be raised and lowered in the event of a power failure (batteries not included). Features a simple to operate handset and castors to aid movement across all surfaces.